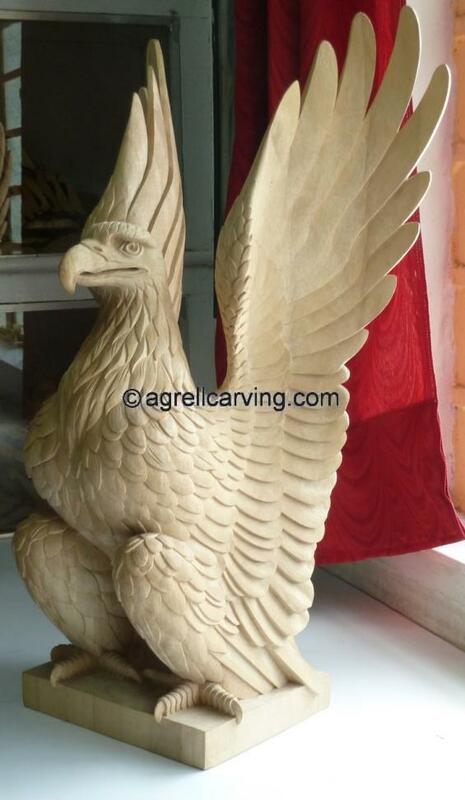 AAC Animals Bird Eagle Fort Green Park Brooklyn North American - 29 Agrell woodcarving. Description: Carved Wood Eagle copied from a bronze at Fort Green Park, Brooklyn, North America. Carved by Agrell Architectural Carving.